Entertainment Cruises, a dining and sightseeing cruise company, today announced it has acquired Toronto-based Mariposa Cruises. The completion of the transaction extends the company’s footprint into Canada for the first time, boosting its operation to 48 vessels serving upwards of 2.3 million guests across 11 city locations in North America. 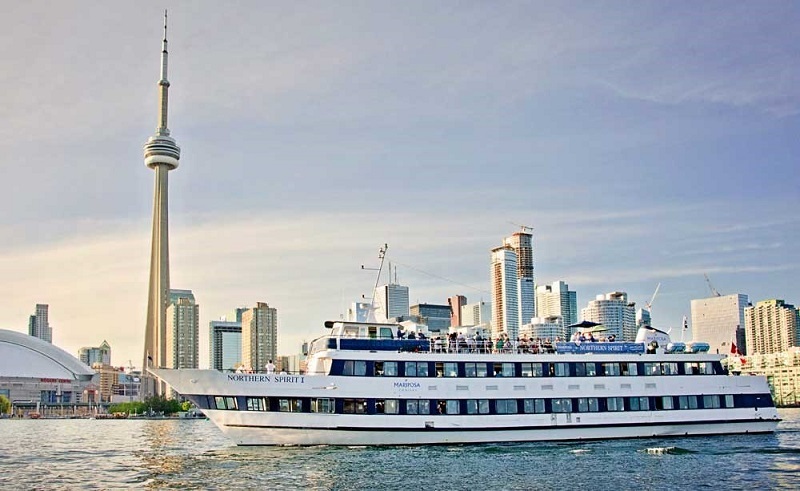 Recognised as Toronto’s largest hospitality cruise operator, Mariposa Cruises has served the city’s waterfront and Lake Ontario with dining cruises, sightseeing and private charters since 1987. Given its longstanding reputation, the business will continue to operate under the Mariposa Cruises brand and will remain headquartered at its home base in the heart of the Toronto Harbourfront at the Queen’s Quay Terminal Building. Kenneth Svendsen will lead the newly merged company. With immediate effect, Mariposa Cruises President and CEO Jim Nicholson will step down and Cindi Vanden Heuvel – the current Vice President and a 27-year veteran of the company – will step into the Vice President / General Manager position. With 128 full time and seasonal employees joining Entertainment Cruises, the company intends to maximize benefits for both operations and leverage the significant expertise across the whole business. “Under his leadership, Jim Nicholson has firmly established Mariposa Cruises as an impressive and successful hospitality business that is much admired by its contemporaries. I would like to thank Jim for his tremendous efforts and extend my very best wishes for his future endeavors,” added Svendsen. Today’s announcement reaffirms Entertainment Cruises’ continued confidence in the sector where it already operates a portfolio of seven distinctive, award-winning cruise brands in coveted destinations such as Alexandria VA, Baltimore, Boston, Chicago, National Harbor, Norfolk VA, Philadelphia, New York, Weehawken NJ and the wider Washington D.C. area. In 2016, the company acquired Virginia-based Potomac Riverboat Co., and has since added four new high speed, low wake, environmentally friendly water taxis to service the DC metro area. Next month, Odyssey Chicago River ─ a modern glass-enclosed vessel built specifically for cruising the Chicago River ─ is expected to make its much-anticipated debut and will introduce upscale dining and entertainment alongside unparalleled 360-degree views of the city’s world-renowned architecture. Entertainment Cruises is part of the PPC Partners group of companies.